When I closed down the studio last night after spending 90 minutes talking to Rosemary Rawlins about her life as a caregiver, I popped into my husband’s office. He had listened to the interview on his computer. He smiled and said, “Great interview! I wish it wasn’t over. I could have listened for another hour.” I knew exactly what he meant. I could have talked with Rosemary forever. Our stories, though different, run parallel to each other. Both of our husbands were in the prime of their careers – doing what they loved best in their office/lab and after hours too. 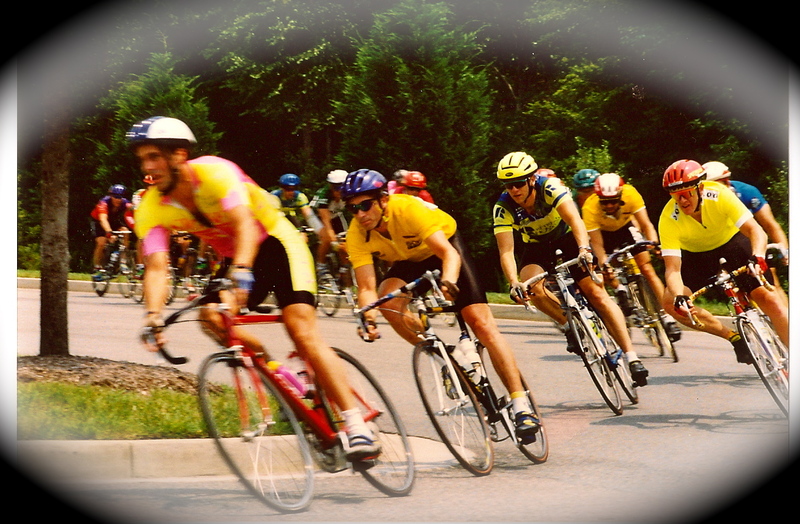 Hugh loved to ride his bicycle. David loved to run and exercise. Both Hugh and David exercised to relieve their daily stress. 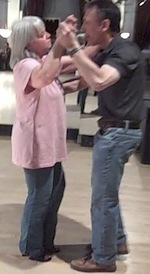 It was that exercise that caused their brain injuries. Talking with Rosemary was refreshing. She really KNOWS what I went through, and I REALLY know what she went through. We GET IT! Anyone who has “lost” a spouse to brain injury will totally understand and completely relate to Rosemary’s and my conversation. Please, go ahead! Eavesdrop on our tête-à-tête. We’d love you to. Thank you, Rosemary, for sharing your story with me and my listeners on “Another Fork in the Road” on the Brain Injury Radio Network. Click the link below to listen to caregiver, Rosemary Rawlins (author of “Learning by Accident: A Caregiver’s True Story of Fear, Family, and Hope”), share her story of how she and Hugh pulled the pieces of their lives together. You’ve heard David’s story from my point of view. Yesterday David shared his perspective of living with traumatic brain injury. He spoke about how his life has greatly changed for better…and for worse. We learned about David’s life as a child and his educational career, which he began as a Kindergarten dropout. He told of the years that led up to our marriage and also about his life as a Professor of Microbiology at Columbia University, both before and after his TBI. We found out how he is coping with this new life thrust upon him…and upon us. The show ends with me brushing tears from my cheeks as David talks about the heroic acts of caregivers and my role in his recovery. If you missed the show, don’t fret. You can always listen to the archived show. I’ve included the link below. You’ve heard my story about David’s Traumatic Brain Injury and how we have come to be in this place that we are now. It’s David’s turn to step up to the mic to talk about his perspective of living with a TBI, as I interview him about the past 9+ years. He promises that I may even learn something. I wonder if it’s about the black mark on the wall. How: Click: Brain Injury Radio Network. This show takes David bouncing across the George Washington Bridge in an ambulance blaring rap music to his rehabilitation hospital where he would spend the next two months of recovery. Listen to stories about life in the lockdown unit, of strange roommates, staff being fired, and Hasidic chanting in this second segment of “Prisoner Without Bars: Conquering Traumatic Brain Injury.” There’s never a dull moment when living with TBI. I hope you’ll tune into my show the 1st and 3rd Sunday evenings of every month. The show airs at 5:00p Pacific time and runs for 90 minutes. It’s the mix of heavenly sweetness followed quickly by harsh reality. It’s pleasure mixed with pain. It’s happiness and regret. That’s bittersweet! Today – six years ago on January 13, 2005, with no invitation, bittersweet moved in with David and me. He was an uninvited guest. He ripped David’s and my lives apart. – Bitter! We won’t let bittersweet beat us. We are building our lives up again – together. – Sweet! David suffered a traumatic brain injury. He endured an operation that lasted about 5 to 6 hours. He wasn’t supposed to live – Bitter! David endured two more open-brain surgeries in less that two weeks and slept the sleep of coma for more than that. He wasn’t supposed to live. – Very Bitter! After several weeks he began to respond to the world around him. He wiggled his toes and blinked his eyes. – Sweet! For three months he was in hospitals learning to walk, learning to talk, learning to feed and dress himself again – learning to be a part of society. He desperately missed his job at Columbia University. He did not know when or if he would ever return. Bitter-very-bitter! Columbia welcomed David back with an article about him in the newsletter of Columbia University called, In Vivo-CUMC At Large. Very Sweet! And by conferrring upon him in 2006, at the Medical School Commencement, the Charles Bohmfalk Award for teaching in clinical years. Sweet! Sweet! Sweet! David still has difficulty walking, talking, swallowing, and seeing. His right arm shakes erratically. He remains a prisoner of his body. Bitter-oh-so-bitter! He wont let anything get him down. Life has become as normal as it can with all of these disabilities. He exercises to strengthen his body. He works to strengthen his mind. Improvements are being made – slowly, but they come. Sweet! David has lived six years longer than any of his doctors expectations. Sweet! Oh-so-Sweet! I have my best friend with me. Sweet! Sweet! Sweet! Bittersweet move over. There is not enough room in our lives for you. As a writer for children, I never intended to write a book for adult readers – other than those adults who read picture books to their children as the stars fill the night sky. 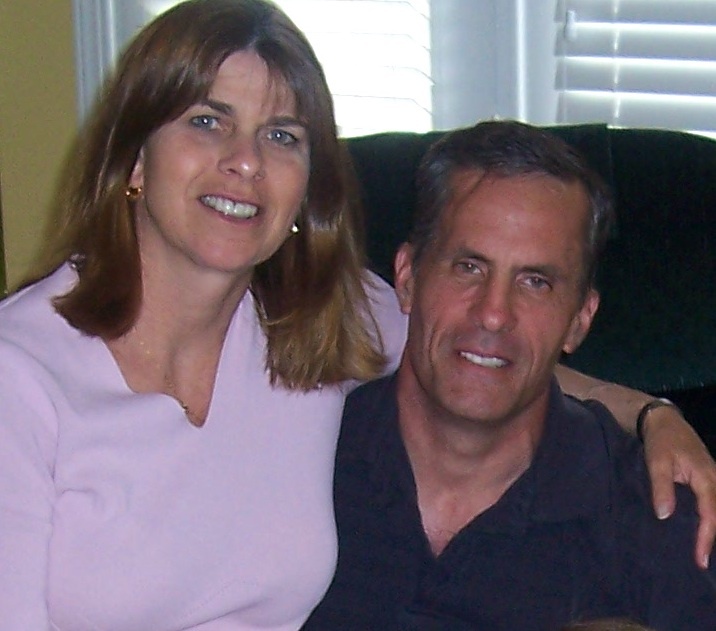 But, circumstances changed in an instant when my husband, David, suffered a Traumatic Brain Injury in 2005. I didn’t know what a “TBI” was. I had never heard or seen those letters together before. But, they would soon become a permanent thought in my head. As David stumbled into our bedroom, his hand covering his right eye, I knew something was drastically wrong. As his pain intensified and the paramedics transported him to the emergency room, I didn’t know how seriously our lives were about to change. The man, my lover, and my best friend, disappeared. After three brain surgeries, a new man emerged. He looked different. He sounded different. He was severely disabled. He couldn’t speak beyond guttural sounds. He couldn’t walk, dress, brush his teeth, feed himself, or take care of personal hygiene without assistance. At first it seemed that he didn’t even know me, which nearly broke my heart. 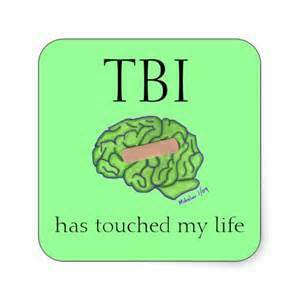 David’s TBI has caused us to travel many long and bumpy roads. We still do nine years post-TBI, but it is a journey we take together. I met David when I was 16 years old. I knew in an instant that he would be my life-partner – for better or for worse. We’ve had the better. We’ve had the worse. We are striving for the better once again. laboratory at Columbia University a year later to oversee his and his students’ research, to write scientific papers, to become the editor of a book of research articles from scientists from around the world, and to be awarded a grant for his research. Our journey is not over. 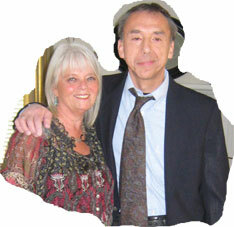 I’ve written David’s story, “Prisoners Without Bars: A Caregiver’s Story,” to share our journey with you, my readers. It is a story of tears and angst, of stress and confusion. The story will make you cry. It will make you laugh. It will make you wonder in disbelief just how this man is able to accomplish so much with so little. The story chronicles David’s strength and persistence, his tenacity to build a new life, and to get better against all odds. David’s story is a story of hope and inspiration. It is also my story. As David’s wife and best friend and as his primary caregiver, I stand on the front line advocating for him every step of the way and cheerlead his every accomplishment. It’s a story that will take you with us on our journey of TBI. I wrote the book between my caregiving duties of David, my teaching first and third graders, and when I was not sleeping. It is currently being sent to literary agents, and I hope that it will be published soon, so you can read the inside story of how David fought and is conquering Traumatic Brain Injury one unbalanced step at a time.